Royal Panda Casino entered the online casino market in 2014. It has presented itself as a quirky, standout casino with plenty of incentives to join. 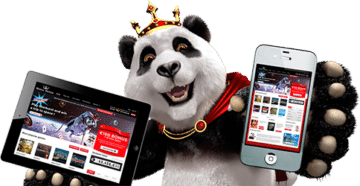 Its mascot is unforgettable and Royal Panda Casino has received a much-deserved level of respect among players due to offering one of the fairest and most enjoyable gaming experiences in the industry. Royal Panda Casino have a player-friendly bonus policy, a powerful gaming selection and quality customer support. We’ll go through it all and examine exactly why Royal Panda Casino has witnessed a great success for such a new online casino. To get the ball rolling, Royal Panda Casino welcomes all new players with a 100% up to £100 bonus. The sum itself isn’t overly impressive, but the bonus requirements make this Royal Panda Casino bonus one of the fairest in the industry. There is no Bonus Code for this offer, as they automatically transfer the bonus to the account along with the qualifying deposit. Start playing with double your money! There are some terms you should know about before reading the T&C’s. Cash balance: the balance available for immediate withdrawal. It is the money deposited + winnings won using it. After the wagering requirements have been met, any bonus money and bonus winnings become part of the cash balance. Bonus balance: the balance tied to Royal Panda Casino’s wagering requirements. It consists of bonus money received and any bonus winnings. Bonus money: the bonus amount received. For e.g., if a player deposits £100, their bonus money will be the maximum amount of £100. To release it for withdrawal, players will need to wager 35 times this amount using bets made with their cash balance on casino games. Bonus winnings: any winnings won using bonus money. They add this to the bonus balance. Bonus winnings can only occur if the player is playing using their bonus money, once their cash balance has ended. Total balance: the total balance (cash balance + bonus balance). Players can view their balances by hovering their mouse over their balance at the top of their screen. The bonus conditions at Royal Panda Casino are unique in the industry and very helpful to the player. First, you must make a deposit of at least £10 or more to claim your welcome bonus. You will need to wager your bonus amount 35 times before withdrawing, however this is where things get a bit different from usual. Namely, your cash balance will get used in priority over your bonus money balance, so any generated winnings using your cash balance can be withdrawn at any time, even if you haven’t met the wagering requirements. This is why Royal Panda Casino’s bonus is more than worthy of your time, because it doesn’t imprison your real money deposit. Lastly, even if you lose your cash bonus, your welcome bonus will not disappear. You can make a deposit again and continue wagering your bonus until it has been released to your account. Any money won using bonus money (AKA Bonus Winnings) will be added to the player’s total bonus balance. Players can use their bonus money to play, but this won’t count towards the wagering requirements. However, once players meet the wagering requirements, bonus money plus any bonus winnings (AKA total bonus balance), will be released. Players can deposit again, if their cash balance ends, in order to fulfill the wagering comments. Otherwise the bonus balance will be void. Any bonus bets over £5 will not count towards the completion of the bonus wagering requirements. If the player decides to withdraw their cash balance before fulfilling the wagering requirement, any relevant bonus money, including any possible bonus winnings, will be returned to Royal Panda Casino. Existing customers regularly enjoy interesting and promising promotions. Every Friday, for example, the so-called “Bamboo Bonus” applies here. This promises a bonus amount of up to £150, which Royal Panda issues in the form of a deposit bonus of 50%. This offer is valid for all customers – but only on each Friday of the week. Besides that, on every 21st of the month, a special promotion for blackjack players is launched. They can look forward to a blackjack bonus of up to £210. Most special events are on the calendar, usually have additional promotions too. For e.g. Christmas or Halloween promotions. If it’s gaming you’re concerned about, then put your worries to rest. Royal Panda Casino boasts a diverse gaming selection brought forth by the likes of NetEnt, Microgaming, NYX Interactive, Elk Gaming Studios, Thunderkick and Evolution. This means that everything from Video and Classic Slots, Table Games, to Video Poker and Progressive Jackpots, will be within arm’s reach at any time you want. Royal Panda Casino’s library is wholly available in instant play, and you can easily find whatever you want in a moment’s notice by using the search function. Moreover, the games are neatly separated by category and feature a “most popular” section, where you can find the best of the best already pre-selected for you. The casino also hosts a nifty “Hot and Cold Slots” menu, where you can find out in greater detail which slots are currently paying out more than usual, and which ones aren’t. You can filter out by a time period of the past week or past month, and also by how much the slots have been paying out or not paying – starting from £50 up to £10,000. This casino offers its customers over 400 different games, which are in different categories. The repertoire includes classic slot machines, video slots, roulette, blackjack, other table games and video poker. Highlights of the portfolio are also the live dealer area and the jackpot games. The games are from well-known developers, but by top providers such as NYX, NetEnt, Evolution Gaming and Microgaming. There are some well-known slot machines such as Jackpot 6000, Couch Potato or Retro Reels. There are more modern 3D Slots and Video Slots, of which currently there about 340 games, such as, Twin Spin, Jack and the Beanstalk, Easy Slider and Batman. In roulette, there is a distinction between the regular casino and the live casino. The standard casino offers its players approximately 20 different roulette games. Available are for e.g. multi-wheel roulette, slingshot auto roulette or immersive roulette. The regular game variants French, European and American are also available. In blackjack, the selection has twelve tables in the regular casino, so that here for e.g. is classic Blackjack, Single Deck Blackjack Professional Series, Double Exposure Blackjack and Blackjack Professional Pro Series. Video Poker is still part of Royal Panda Casino's offer. There nine games, including Joker Poker, Aces and Faces and Tens or Better in the offer. There is also Baccarat, various poker games, Punto Banco and Red Dog. A few clear pluses go towards Royal Panda Casino here, for their selection of jackpot slots. They provide over 35 different games with the most well-known titles such as Mega Moolah, Hall of Gods or Arabian Nights. There are also jackpots for Keno, Caribbean Stud Poker or Video Poker. The jackpots vary of course from game to game, but are usually between £5,000 and £10,000,000. Evolution Gaming supplies the live dealer tables, which means you can expect the finest of quality the industry has to offer. The live table lineup consists of Blackjack, Baccarat, Roulette, Casino Hold’em and Three Card Poker. Of course, this includes popular variants such as Slingshot Auto Roulette, Immersive Roulette, Blackjack Party, London Roulette and Baccarat Squeeze. There is a few Royal Panda Casino branded tables too. The games are in high definition, feature quality betting options, the ability to chat with dealers, and much more. There is nothing wrong with the quality of the live casino. The dealers are always friendly and competent and explain things on demand. To complete the whole package and make it stand out, the casino offers a loyalty points scheme which they connect to the Loyal Panda Shop. You earn points simply by playing, while bets on some games give you more points than others. As an example, £10 wagered on Slots gives you one point, whereas you’ll need to wager £50 on Table Games to get the same amount. They exchange the points for various valuables in the shop. The shop is full of various things such as straight up bonus cash (£10, £25, £50), free spins on popular games, Apple products (iPad Mini, iPhone, Macbook) and miscellaneous such as coffee mugs, t-shirts, and more. When it comes to all money transactions at Royal Panda Casino, you will find an abundant list of payment methods at your disposal. All methods are free of charge and have a minimum of £10! Royal Panda Casino is widely accessible across all platforms, including mobiles and tablets. The casino does not require of players to download a mobile app, rather access the casino via mobile browsers. If you’re accessing from a smartphone, you’ll be directed to the mobile casino, whereas tablet users can still enjoy the desktop website version, but only play mobile games. The mobile casino hosts over 250 games, most of which are video slots, but you can also enjoy table games and even the live casino. What’s more, they host a detailed FAQ segment where you can easily find a lot of useful information about the casino or your account. Of course, the most efficient ways of contact are either by calling or requesting live chat. They are available throughout the day, from 09:00 to 00:30 in CEST. The licenses to distribute its casino products were obtained from the Malta Gaming Authority (MGA) and the UK Gambling Commission. In 2017, Royal Panda Casino was acquired by LeoVegas, hence the reason why its MGA license is under LeoVegas'. Royal Panda online casino complies with extensive regulations and guidelines in order to obtain its licenses. Among other things, is also the measure taken to protect the website. The casino and its payments are protected by Comodo Secure and 256-bit SSL encryption. Another must-have in the context of licenses are the preventive measures against gambling addiction. Royal Panda Casino works with GamCare and has already made some self-measures possible, in which players can control their gambling limits. For e.g. players can limit the length of sessions or the amount of maximum loss. Alternatively, an activity lock or complete self-lock can be imposed. Royal Panda Casino is one of the best breakthrough casinos in the past few years, and we can see why. The highly transparent approach when it comes to bonuses is brilliant. The extensive gaming library and diligent customer service, among other things are additional positives. Royal Panda Casino is certainly one of the most suitable casinos on the market right now. Unfortunately not, however there are other ewallet alternatives such as Skrill and Neteller which are just as beneficial and popular at online casinos. What is The Current Jackpot Prize Pool at? At the time of writing, there is currently a massive £45,000 jackpot waiting to explode on Divine Fortune as well as a total jackpot pool on all jackpot games of £20 million. Is Royal Panda Secure & Trustworthy? License are from the MGA and UKGC, indicating they comply with extensive regulations and guidelines. 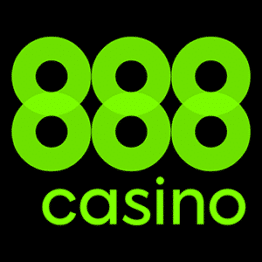 The casino and its payments are protected by Comodo Secure and 256-bit SSL encryption.